We deeply regret to announce the death of Mr Jonathan Sladen on 19 May 2009. 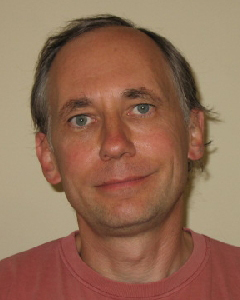 Mr Sladen, who was born on 9 February 1957, was a member of the BE Department and had worked at CERN since 1985. The Director-General has sent his family a message of condolence on behalf of the CERN personnel. Jonathan made outstanding contributions to the success of the LEP collider. The fast timing system he developed for synchronizing the LEP RF system performed unfailingly and with excellent precision throughout the lifetime of the accelerator. He was a highly motivated member of the LEP RF team, participating enthusiastically in the huge task of maintaining the RF system in a state of peak operational availability for physics. He contributed to many important performance enhancements which allowed LEP to reach such high energies. Later in his career Jonathan took responsibility for the low level RF system of the CLIC Test Facility. Here he developed new specialised fast timing systems and achieved important results in the design of very high frequency RF systems. Throughout his career Jonathan has always been highly appreciated by his colleagues and by everyone with whom he dealt, not only for his expertise in his domain and his calm and serious approach to his work, but also for his openness and his sense of humour. He will be very much missed by all.